ARE WIRELESS ALARM SYSTEMS BETTER THAN WIRED ONES? It’s Saturday morning, and you’ve just woken up. You think to yourself “I could really go for some coffee right now”, but the kitchen seems so far away…fortunately, you have a WiFi connected coffee maker, and can start the process from the warmth and comfort of your bed, simply by opening an app on your phone. Life surely couldn’t get any more convenient. It’s not surprising that when it comes to alarm systems, residential or commercial, many clients are looking for integrated solutions; something they can access any time, anywhere, at the click of a button. However, the stakes are a little higher when it comes to security then they are with your morning coffee. Is it safe? Will it work every time? What if I have a power outage? We have to ask the question: are wireless security systems better than wired ones? To understand the benefits and drawbacks of using wireless in an alarm system, we’re going to break down each of these three components individually and examine them closely. Today we will look at the CPU. What does the CPU do? The CPU, or Central Processing Unit, is the real hard worker in the system. 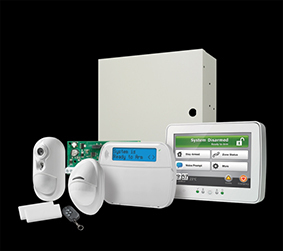 It receives signals from every other device in the system, including keypads, door sensors, smoke detectors, keyfobs, etc, and decides what to do with them. Without this part functioning properly, every other part of the system is effectively useless. What’s the difference between a wired one and a wireless one? Traditionally, the CPU (or “panel”, as it’s often referred to in the alarm industry) was housed in a secure metal box in a room that is hard to reach, such as a utility room or a locked server room. It is usually part-and-parcel with, or closely housed to, the Communicator; this means that when the CPU decides that someone needs to be notified of something, communication can happen instantly. The siren is also wired into this box. With the advent of wireless alarm systems, someone somewhere said “hey, we could save money by putting the CPU, the communicator, the siren AND the keypad all in one box”. This seems like a great idea! A technician only has to install one piece of equipment, and run one set of wires to it. Almost every alarm company offers these types of system, and it is single-handedly responsible for the “Zero down” deals we hear about on the radio every day. They can now install three or four systems in a day instead of one or two, and they’re not paying for multiple pieces of equipment. How does the CPU perform in an alarm situation? The “fully wireless” CPU has a distinct disadvantage: the CPU and communicator are sitting right inside your keypad – probably right next to the front door of your house or business. Not only that, but the sturdy metal enclosure has been replaced with a piece of plastic. More than once I have seen a criminal enter a premise and then simply take a hammer to the keypad. After one or two swings, your keypad is destroyed, your siren is disabled, and your system is dead and has no way to communicate with the outside world. The burglar can take their time in checking out your property and possessions. If you had a hard-wired system, the keypad would certainly be destroyed; but the CPU and Communicator are still downstairs doing their job. They’ve detected someone walking in front of the motion detector and have seen that the keypad is no longer responsive, and the Police are on their way. Not to mention that the siren is still blaring, making the burglar think twice about sticking around. When it comes to communication, the alarm industry has put some safeguards in place to make these kind of break-ins harder to pull off, specifically a technology called “Crash and Smash”, which means a quick distress signal is sent in most of these cases before the keypad is irreparably damaged. This is a great idea, though not without it’s own flaws. I will explore this in my next blog. 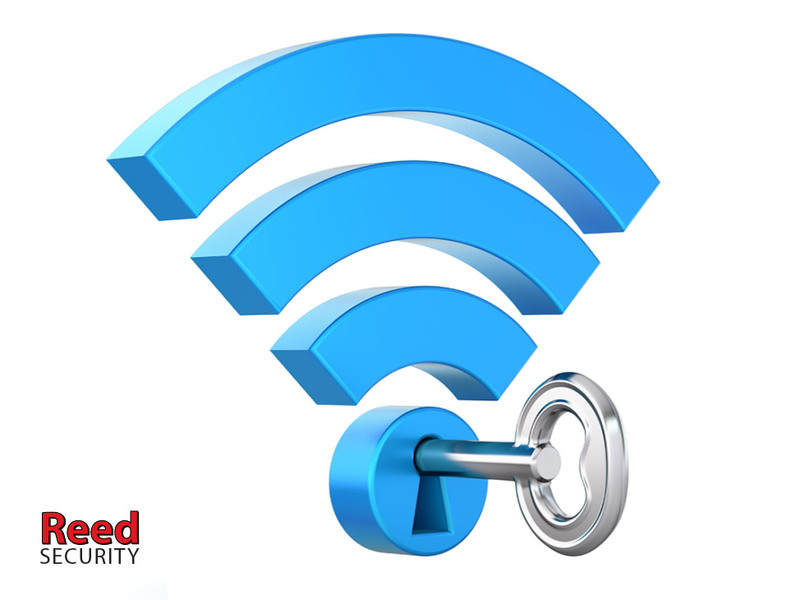 The bottom line is that the CPU in a “fully wireless” system is cost-effective and convenient to install, and some even come with built-in touchscreens and extra features which aren’t available in hardwired systems; however, they come at the cost of being incredibly vulnerable to attack. When you’re paying a monthly fee for your alarm system, and often an up-front cost as well, do you really want your alarm system to be only as secure as a $10 hammer? My recommendation: better safe than sorry. A hardwired CPU may cost you more to have installed, but if your security system isn’t secure, it’s missing the point! Many Police Departments have on-line Crime Mapping Tools that shows you where all the crime is. Over the past year Calgary had 9077 Break & Enters. Over the past year Saskatoon had 2290 Break & Enters. Over the past year Regina had 1599 Break & Enters. Over the past year Prince Albert had 505 Break & Enters. Due to the popularity of smartphones and affordability of high speed internet, Home Owners are choosing to drop their home phone lines. In fact, 1 in 3 homes no longer have a phone line and nearly 70% of Reed Security's new subscribers use Alarm.com 3G/4G cellular and I.P. signalling instead. Drop your home phone line today and save between $20 and $30 a month with your phone company. 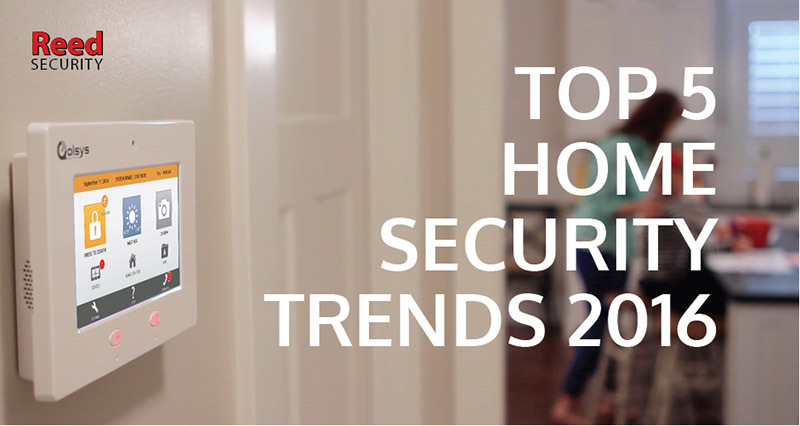 The majority of home security systems are now wireless. No more drill holes, damaged electrical wires and pipes or cracked base-boards. The DSC Power Series NEO has a wireless range (between sensors and wireless transceiver) of 1.6 KM's and a battery life of 5 to 7 years. View system status, monitor activity at your property, watch live and recorded video, arm and disarm your system, set up user codes - all from easy-to-use web and mobile apps. Geo-Services uses your smartphone's location to take useful actions on your behalf. Imagine pulling up to your home on a dark night...and the lights were automatically turned on a few minutes before you arrive. HD Wi-Fi Doorbell. See your visitors in 1080p HD and 5x zoom. Check live view video feed from the app, or record clips automatically when the doorbell is pressed or motion is detected. Hear, and speak to the visitor at your door whether you’re at home, at work, or on the go. Replaces your existing wired doorbell. Requires Wi-Fi Connection. Automatic Door Locks. Lock or unlock your doors from a built-in keypad - a perfect solution for kids that keep losing house keys. Lock or unlock your doors and control the garage door from anywhere with our mobile app. Check on the status of your doors and garage and know if they’re secured or not. Get a reminder if you leave home and forget to close the garage door. Several alarm companies only have SUMMER PROGRAMS. Large crews of university students are hired and offered large commissions ($400 to $500 per contract) to get you to sign up. There's always a limited time offer and you are pressured to sign up right away. They target big cities and small towns and especially like senior citizens. These companies often don't have proper licensing or local service offices. LEARN MORE by Googling "door to door alarm scam". Always Get 3 Quotes from local security companies. Here's a comparison of current offers. If you are having a problem with THEFT or MOVING TO A NEW HOME, we can Help! Al Anderson's recently partnered with Reed Security to increase their safety and security. They are open 7 days a week and are conveniently located at 208 Avenue B South, Saskatoon, SK. 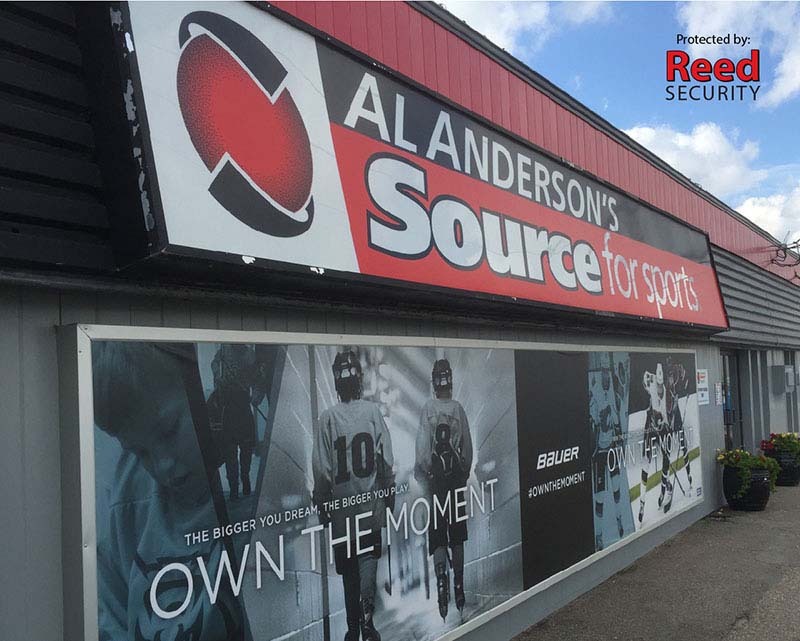 Al Anderson's Source for Sports is a locally-owned sporting goods store that has been serving Saskatoon and area since 1956. They specialize in hockey equipment, baseball equipment, lacrosse equipment, fitness equipment and team apparel. Click Here for all the ways they can help you. "I was referred to Al Anderson's 10 years ago by a friend of mine who raved about their selection, knowledge and fantastic customer service. Now I'm the one sending my friend's to Al Anderson's". We chose Reed because of the reputation and customer service. Pairing this with supporting a local business made this decision the right one for us. We switched our Monitoring to consolidate our initial ReedHD camera system and security to one invoice. The service we had received from start to finish with the camera system made switching our monitoring a no brainer. The ReedHD Business Bundle made the decision easy for us to onboard the camera system. Knowing we were going to get great cameras, installed by professionals, serviced quickly and a plan tailored to our needs again fit our plan perfectly. Also having the app on our smartphones to see what is happening whether inside our business or when we are away is great. We would definitely refer other business colleagues to start a discussion with Reed Security. WHY DID A WELL KNOWN CREDIT UNION GO WITH REED SECURITY? 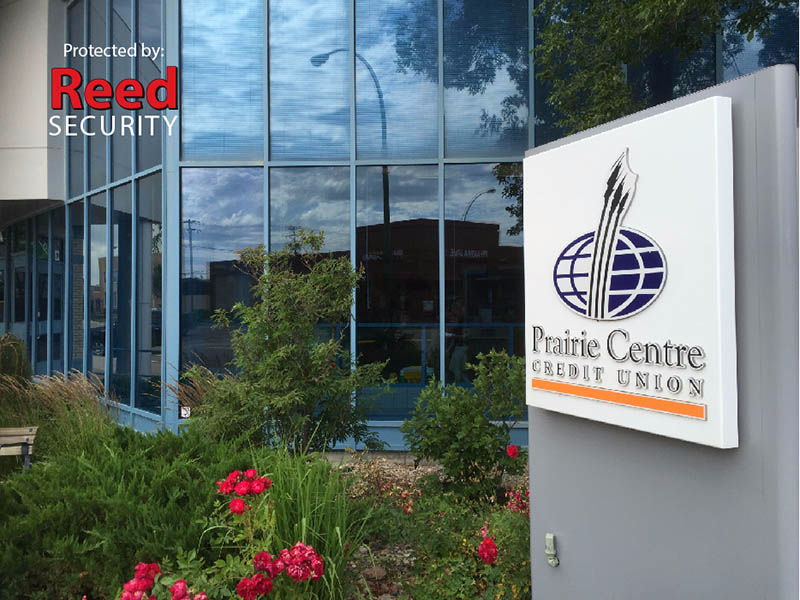 Prairie Centre Credit Union recently partnered with Reed Security to install Hi-Def Cameras at several branches in Saskatchewan. Prairie Centre Credit Union offers Banking, Borrowing, Investing and Insurance products and services. With branches in Beechy, Dinsmore, Eatonia, Elbow, Elrose, Eston, Harris, Herbert, Kyle, Loreburn, Morse, Outlook, and Rosetown - they can look after your Personal, Business and Agriculture needs. 1. We chose to go with Reed Security because of the great reviews from their other customers and their responses to our questions. They didn't try and sell us something that we didn't need, they listened to us and created a solution that worked for us. 2. We like the solution we got, because it does what we need it to do. The equipment is from a reputable Canadian company and we know that we will always have Reed Security there to help us get through any issue that may come up. 3. We would definitely refer Reed Security to others. Their installations have been done quickly, accurately and are well planned. Their equipment is good quality and works like expected.